Does your dog have sea legs? This Thursday is your chance to find out with the Potomac Riverboat Company’s canine cruise with Lucky Dog Animal Rescue. 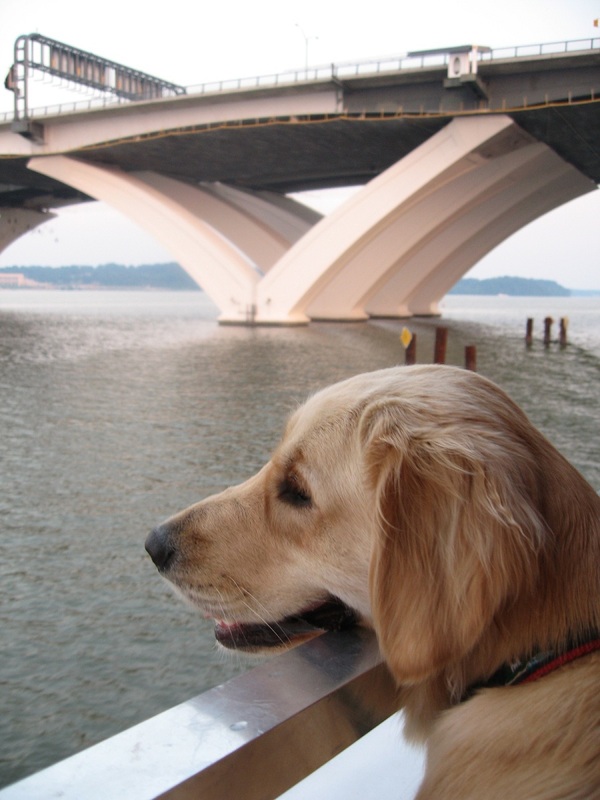 You and your dog will enjoy a scenic 40-minute narrated tour of the Old Town Alexandria waterfront, while meeting other dogs and some of the adoptable pooches from Lucky Dog and their foster parents. There are two departure times to choose from, 7:00 or 8:00 p.m., but you should plan to be at the dock 30 minutes before your departure. Dogs ride for free, human tickets are $15 for adults, $9 for children ages 2 to 11. Tickets can be purchased at the ticket booth on the dock, or online in advance. This is a fun experience for dogs, and definitely mentally stimulating so you’ll take home a tired pup. When I took Chatham on a cruise she was fascinated with the view. Once I was confident she wasn’t going to leap into the water from the top deck of the boat, I relaxed, too! Some of the dogs on the cruise settled in on the boat floor, but some jumped up on the benches for a better vantage point. The boats depart from the Alexandria City Marina behind the Torpedo Factory Art Center at 3 Cameron St., Alexandria, VA 22314.